The Great Lakes need protection to ensure the wellbeing of all of us. Line 5, built by Enbridge in 1953, was designed to last only until 2003. Every day the pipeline puts the Great Lakes at risk by transferring 540,000 barrels (22.7 million gallons) of Alberta tar sands and Bakken crude oil. There are many ways to care for the waters. Learning about the Alberta Clipper. Learning about the Dakota Access. Screenprinting posters, banners, or shirts. Learning the protocols for water walks. Participating in the water walks. 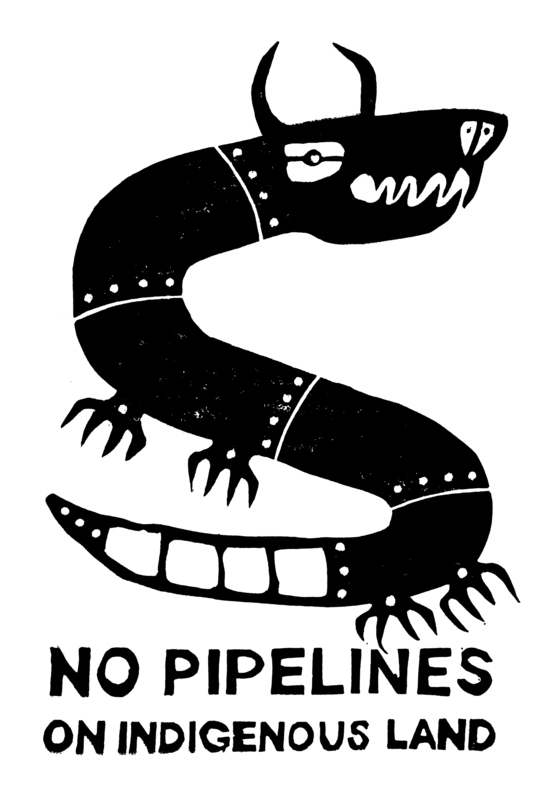 Petitioning banks to stop funding pipelines. Removing money from accounts in banks associated with supporting pipelines. Closing accounts in banks associated with supporting pipelines.